I never liked Superman. Matter of fact, I never cared much for any superhero who was endowed with some sort of extraordinary power. My favorite heroes were regular human beings who decided to do more with themselves, like Batman and - of course - Sherlock Holmes. When I was younger, I loved the Sherlock Holmes stories. One particular incident always stuck out in my mind. 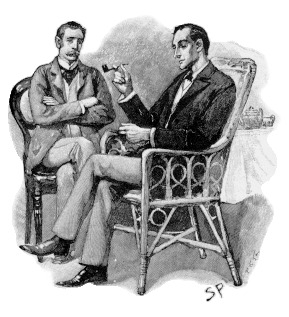 It was from the very first of Conan Doyle's pieces on the detective: A Scandal in Bohemia. "When I hear you give your reasons," I remarked, "the thing always appears to me to be so ridiculously simple that I could easily do it myself, though at each successive instance of your reasoning I am baffled until you explain your process. And yet I believe that my eyes are as good as yours." What was so powerful about Holmes - even to me as a child - was the way that he had no special skills. He simply lived with mindfulness and that was the source of all his seemingly extraordinary abilities. It doesn't take a birth on planet Krypton or a bite from a radioactive spider to be a superhero - all you need is to pay close attention to life.